Two open hours of short poses, to develop speed and capture energy! Join us for a high-energy evening of OPEN, uninstructed gesture and short-pose figure drawing. 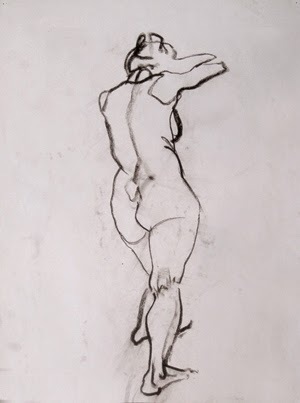 Practice capturing movement and hone your intuitive sense of anatomy in a session of life drawing focused on multiple poses and gesture drawing. The session will begin with poses ranging from 30 seconds to two minutes, and later move on to 5 to 15 minute poses. Participants must provide their own materials.